How to remove watermark in published videos? 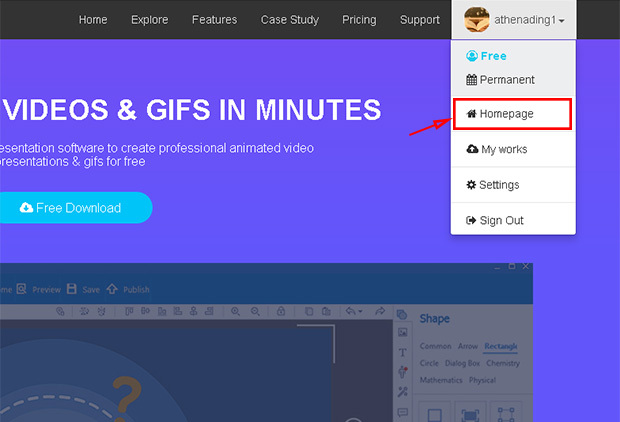 Animiz is a powerful videos and gifs creator with amazing features. You can fully customize and present your ideas in animated style. 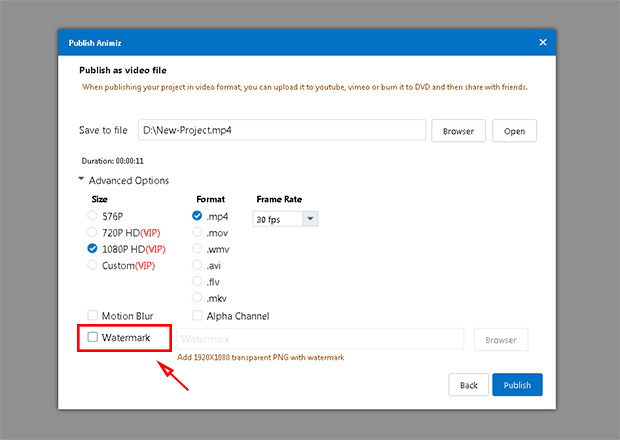 For free users the published videos will be embedded with an Animiz watermark, then if you want to erase the logo and URL, simple steps provided to remove watermark in published videos. 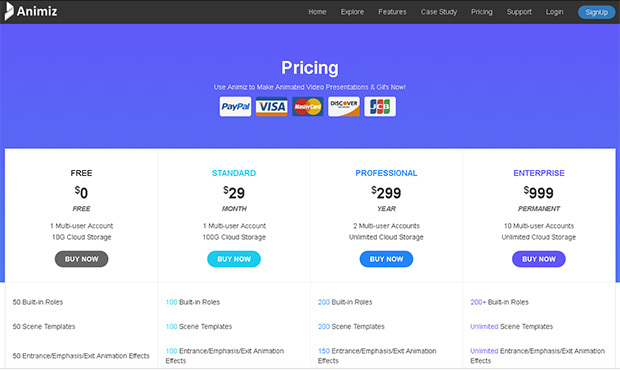 Visit http://www.animiz.com/pricing, pay Standard/Professional/Enterprise account to upgrade. Tips: If you have no account, you are required to sign in and have your own account to upgrade. 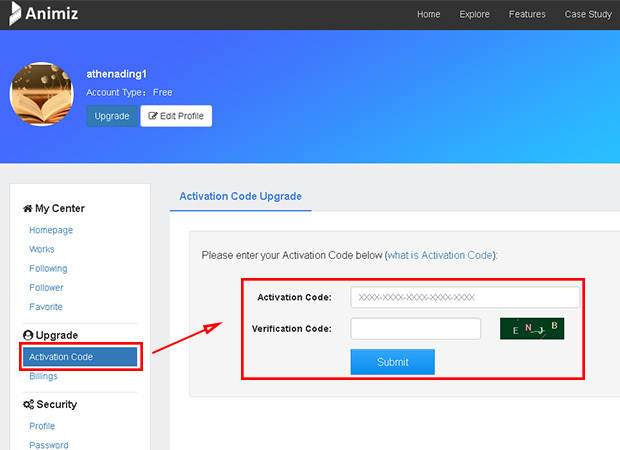 Log in your own account on Animiz site, click "Homepage" and "Activation Code" button, input the required information in the box, and then submit to activate your account. Previous： How to upgrade free Animiz account?